The company Molly Mutt Wild Horse Duvet For Dogs is quite a unique one. 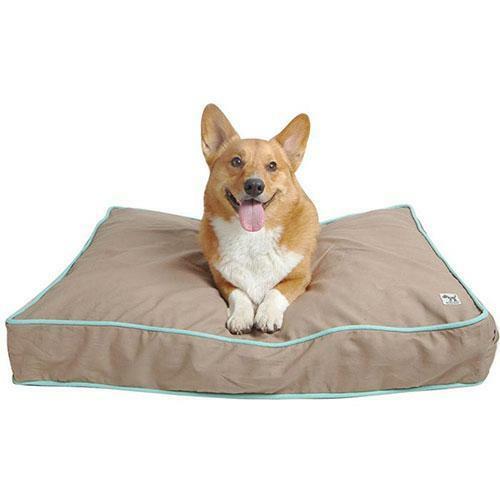 They offer pet owners a variety of different features they can choose from for that perfect comfortable dog bed. But it is so much more. Not only does your pet enjoy the soft clean bed to enjoy but there are nearly endless fashionable colors and designs to please every pet lover to compliment the decor in the room. Another ideal aspect is the uncomplicated way to clean the bed. It is beyond simple. The entire bed including the cover can be put into your washing machine. A quite ingenious idea is making up and customizing your dog's bedding inside the bed with items with certain familiar smells of the pet's family. Some of these items can include blankets, pillows and clothes from the members of the family for your dog's scents to snuggle and feel the love he has come comfortable with. Molly Mutt Wild Horse Duvet for dogs has all size of breeds covered from small to huge.